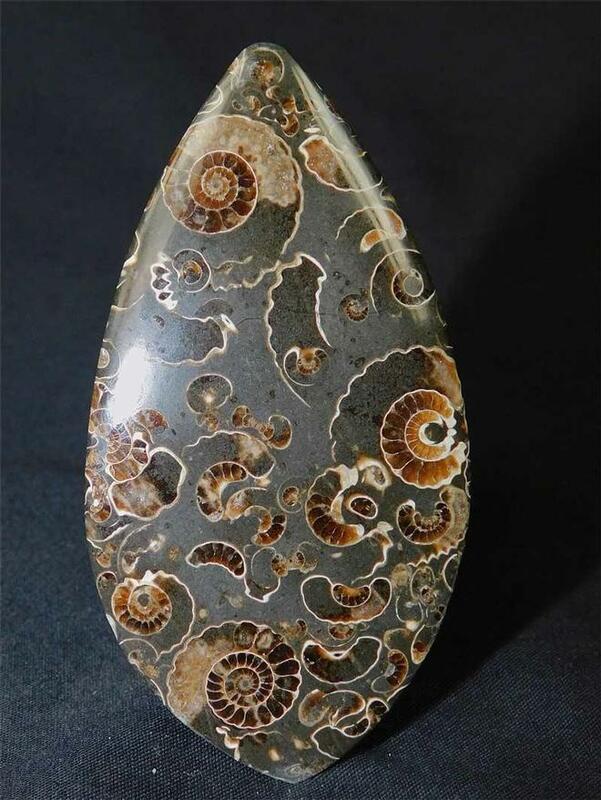 This magnificent and highly aesthetic Marston cabochon is the largest we have had made to date. 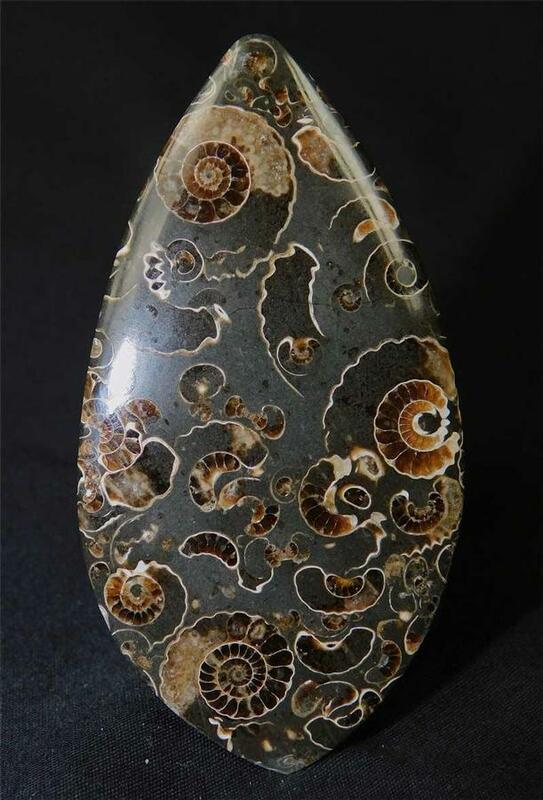 The cabochon is Grade A and exhibits many small ammonites in cross section (Promicroceras planicosta. 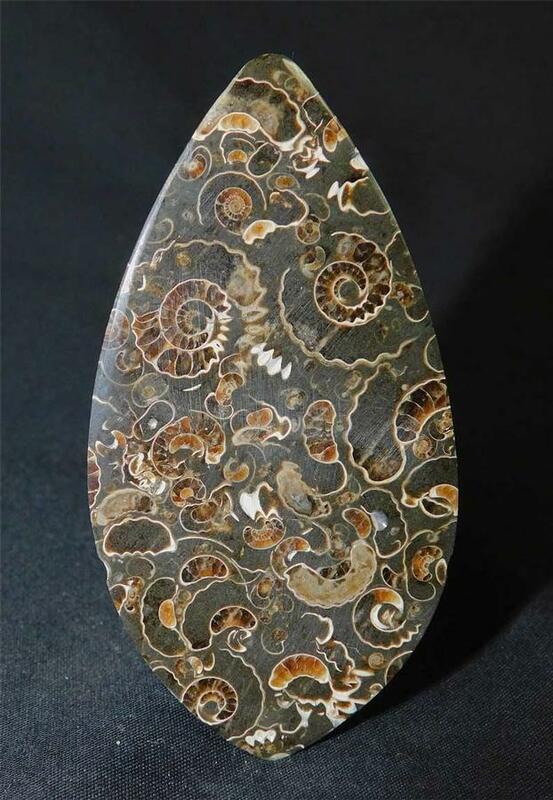 Billions of these ammonites were wiped out in a single catastrophic event some 200 million years ago. 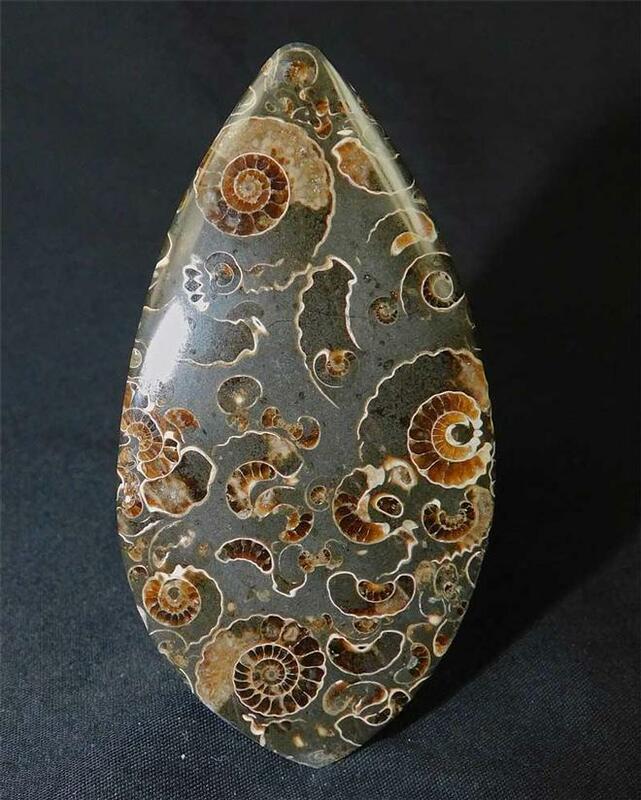 A totally one off, unique piece.